MakeArt Family Day May Event, May 4, 2019 from 11 AM - 3 PM. Explore techniques and themes of Wanxin Zhang: The Long Journey, with the whole family. 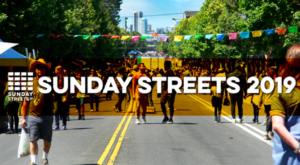 MCD Community MakeArt: Sunday Streets Dogpatch/Bayview. May 5, 2019, 11 AM - 4 PM. Enjoy car-free blocks on Third Street, visit MCD with free admission, and adorn wheeled vehicles with festive decorations! 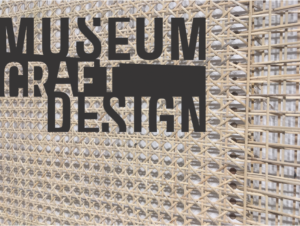 Free First Tuesday, May 7, 2019, 11 AM - 3 PM. 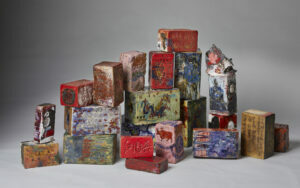 Explore the processes and symbolism and Wanxin Zhang's ceramic bricks and visit our galleries with free admission. 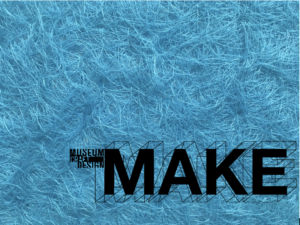 MAKE, May 16, 2019 6 PM - 9:30 PM. Take a deep dive into both current exhibitions with guests artists. Create dimensional work with weaving techniques and portraiture. MCD Library MakeArt: Mission Bay Branch, 11 AM - 12:30 PM. Explore weaving with traditional and unusual materials at this drop-in workshop.